Between work and commutes, most of us spend the majority of our time away from home. About 8% of workers in the USA have commutes of an hour or longer, and nearly 600,000 full-time workers endure “megacommutes” of at least an hour-and-a-half and 50 miles, according to new U.S. Census data on commuting. The national average, one-way daily commute is 25.5 minutes. One of the biggest issues I see is preparedness experts loading up their get home bags and adding additional weight. To prepare for an urban disaster scenario, consider having a lightweight bag packed with the bare essential of gear to get home. This is not your fully loaded bug-out bag. The contents of a get home bag should be minimal and the items stored should be able to carry you through the duration of getting home. Keep practicality and weight of the contents in mind when putting your gear together. If you are walking long distances, you do not want to be lugging around a pack with non-essential items. Depending on the area you live, you may want to consider using a small messenger bag or a small hiking pack. If you live in an area where the bag wouldn’t draw too much attention, consider a duffle bag or a Maxpedition Versipak type bag. These are the perfect size for this type of get-home bag and both have adequate space to add most of these lightweight items. What items do you keep in your bug out bag for work? Remeber to pack multiples specially on cutting tools and the tools to maintain your items. IE whet stone needle needle. And maybe pack a sling shot or take down bow for hunting incases of extended treks which should be considered in every case of a disater. I would build you kit put everything you think you need in it then take a 2-3 day camping trip using only the stuff in you bag. Then adjust whats in it after wards. A get home bag is one that has your very bare necessities so that you can get home. All of these items, (with the exception of the sling shot) are great for bug out bags, but will only weigh you down in a get home bag. Think about it, if you are in the city and your home is 20 miles away, do you really need cordage? Do you really need a whet stone needle? And multiples? You are walking for 2 days! I certainly do not think you will run out of these items in two days. Further, I don’t think your knife will dull by then. 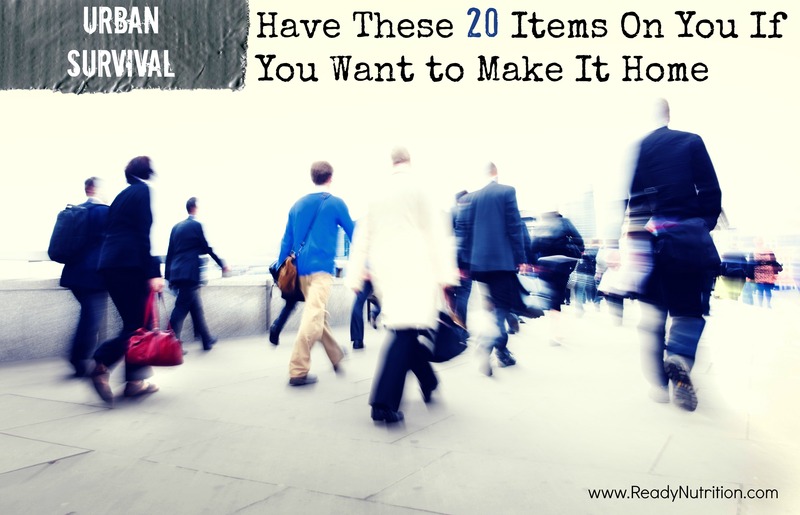 Seriously consider the weight of all the items you will be trekking home with as these extra items can exhaust you. This is something I’ve been thinking a lot about lately and slowly working on. I appreciate this list! I have a backpack with a few things in my car now but have some things I’m looking for yet. I have a four way key to help me access water in an urban trek, an n95 mask and a pair of old nylons in my bag. Apparently the nylons are a military trick…they help prevent blisters when worn under socks and also can add warmth. I plan to get something for basic defence like pepper spay and I am looking for a razor scooter to toss in the trunk. With about a 15 mile journey I think the scooter would make it possible to get home in one day. You’ve completely missed the point of a Get Home Bag mate, it’s the bare essentials to get you home in the event of an emergency. Your pack is too big/too heavy and for people in a city you expect them to carry a crossbow or a sling shot? You have no idea what you’re talking about. You said it was what you would bring on a 2-3 day camping trip which is what a Bug Out Bag is. A Get Home Bag is completely different. Forget collapsible walking sticks! Always keep trekking poles in your car. Given how cheap they are now consider getting an extra set that pack down small, make a carrying tube for them from lightweight material which is attached to your BOB and that way you’ll always have them with you. You don’t need a concealed carry permit to keep a firearm in your vehicle. Consult your state laws concerning how to legally keep a firearm in your vehicle.